One of the most inspirational artists to ever walk the earth, David Bowie created an androginous world of sounds and images that lives on. There is yet to be created a category able to define everything about him. David Bowie. He is as an artist: singer, actor, songwriter, record producer, painter, arranger, multi-instrumentalist, collector of fine art, innovator. He's done it all and continues to do so, at 68 years-old, more chameleonic than ever and still shaping the industry after four decades. There's a website - supbowie.com - that tells you what he was doing at your age. Type in 20, and he was releasing his debut album, self-titled; type in 34, and he was creating the mega hit "Under Pressure" with Queen. "Hunky Dory", which includes the single "Life On Mars," and "The Rise and Fall of Ziggy Stardust and The Spiders from Mars" became instant classics in 1971 and 1972. The Ziggy Stardust persona, an androgynous alien rock star, stunned the industry and bred a kind of live show that was unheard of. His ginger hair, heavy makeup, futuristic clothes and staggering on stage performances propelled Bowie to the superstar, almost mythical status. It's safe to say that David Bowie's music and imagery inspired everyone from the 70's on, with vivid influence in the likes of The Cure, Motley Crue, The Killers, Lady Gaga, Marilyn Manson and Artic Monkeys. His discography is extensive, 25 albums, and has so many classics it is hard to just point a few out, from "Heroes" to "Let's dance." His acting career has also been prolific, with roles in almost 30 flicks. The first one, as Thomas Jerome Newton in Nicolas Roeg's "The Man Who Fell to Earth", is still considered his best. His Jareth the Goblin King in "Labyrinth" has also earned much praise. He was the subject of over a dozen documentaries, which started in the 70's. In 1993, after a six-years hiatus, he returned to music with "Black Tie White Noise" followed by three more albums in the next 4 years - a rather impressive feat for any artist. 1999's "Hours" had an interesting twist, featuring a song with lyrics written by a fan upon the "Cyber Song" competition. It was the early days of the peer-to-peer sharing of music online and the album was even available for download before it hit the stores. After two more albums, Bowie took the longest break of his career, ten years, before coming back with 2013's "The Next Day." His latest project is "Lazarus", a stage show that recovers his alien character from 1976's "The Man who fell to Earth." New songs are to be expected in the show, to be directed by Ivo van Hove. Nick Wall is a celebrity and film industry photographer who has worked with some of the world's best known artists. Plans have been unveiled for a permanent memorial in Brixton to their legendary musical hero. The BRITs 2017, the highs and lows. What happened at this year's BRIT awards, who were the winners and losers ? The Royal Mail are to issue a set of stamps showing David Bowie in action throughout his career. Will this be Keith Urban's next hit? Country singer Keith Urban pays tribute to George Michael, David Bowie, Prince and others in a powerful medley of songs. The beloved celebrity who died in January 2016 is on the shortlist for the award. Sotheby’s sales of the enigmatic musician’s personal art more than double their initial estimates. Skepta took the top music award to disappoint the rock legend’s supporters but a new stage musical promises rich entertainment. The Starman’s fans get a rare opportunity to view his private collection and news on a new David Bowie biography out soon. David Bowie's $13 million art collection, featuring works by Jean-Michel Basquiat and Damien Hirst, will be displayed to the public at Sotheby's. Rare opportunity to see and obtain a painting by the late rock and pop music genius at a Scottish auction. Late music legend’s son announces that he is to become a father for the first time. 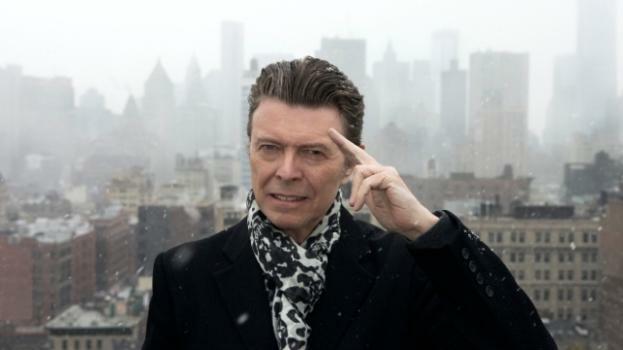 Posthumous album chart success continues for the late, great David Bowie. Fans of the late rock star call for his memory to be commemorated, as worldwide temporary shrines have already been set up. ‘The Music of David Bowie’ tribute show is to be changed to celebrate the great musician’s career following his tragic recent death from cancer.